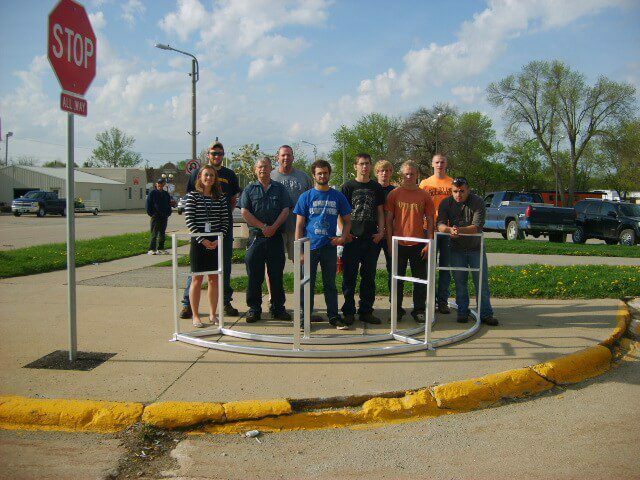 Each spring, the Northeast Iowa Food and Fitness Initiative challenges high school industrial tech classes to design a useable bike rack out of recycled material for their school or community through its Bike Rack Challenge project. Schools have from January until May to complete their bike rack. Once completed, the bike racks are judged and awarded prizes based on several categories- Creativity, Expression of School/Community Spirit, Use of Recycled Materials and Craftsmanship. A prize is also awarded for the “People’s Choice” winner, which is based on the number of ‘likes’ received on Facebook. 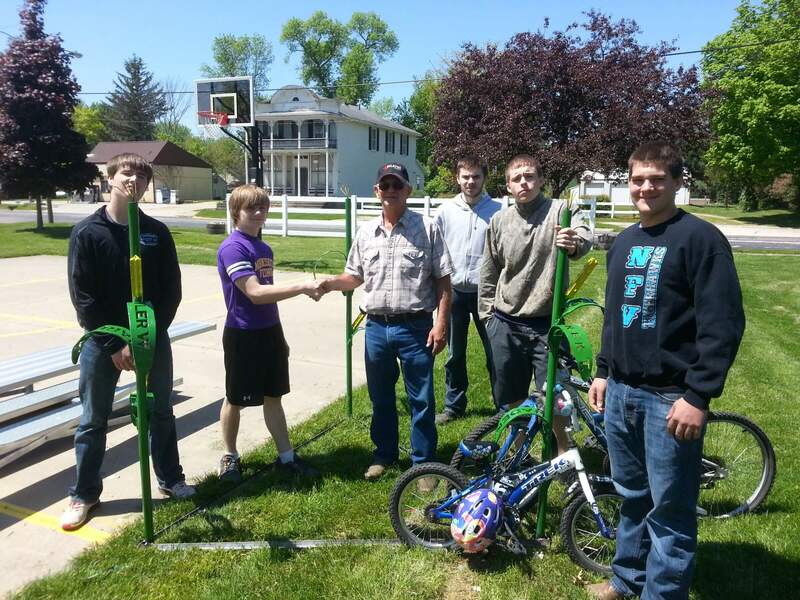 Three schools participated in this year’s Bike Rack Challenge, which was generously supported by the Allamakee County Community Foundation and the Depot Outlet: Decorah, NICC/Howard-Winneshiek and North Fayette Valley. AMAZING work, students! Your creations are SO AWESOME and will benefit your community for many years to come! Thanks for another great Bike Rack Challenge! NICC/Howard-Winn- Easy Access Rack, created for the corner of 1st Ave West and North Elm St. in Cresco near the bike trail. 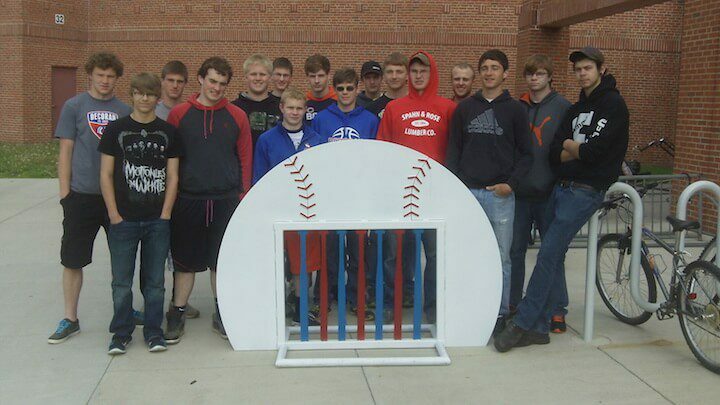 Decorah- Softball with Bats, created for the City of Decorah Softball Diamonds. North Fayette Valley- Corn Stalks, created for the Wadena City Park. Does your school want to get involved in the Bike Rack Challenge for next year? Do you know of a location within your community in need of a bike rack? Let Ashley Christensen know via email (achristensen@uerpc.org) or phone (563-382-6171). Christensen works for Upper Explorerland Regional Planning Commission and offers assistance to schools and communities for Safe Routes to School planning, education and activities. Upper Explorerland is the council of governments for the region helping communities build the future of Northeast Iowa (www.uerpc.org). Upper Explorerland partners with the Northeast Iowa Food and Fitness Initiative to create vibrant communities where the healthy choice is the easy choice (www.iowafoodandfitness.org). This entry was posted in Active Living, Decorah CSD, Howard-Winneshiek CSD, North Fayette Valley CSD by Northeast Iowa Safe Routes to School. Bookmark the permalink.